My experience has been all right, but I am underleveled and should probably start fixing that. I'm actually kinda surprised there are so many Poke Stops around here. I feel sorry for Nintendo's stocks. :( They're going to take the fall for Niantic messing up. The stocks won't go any lower than they were when they started. I dunno - before Niantic started this their stocks weren't at a base price that they cannot go below. Super lame that tracking is dead. Anyone else notice that Pokemon are harder to catch? I had to use 4 Pokeballs on an Eevee last night. I don't think shareholders care about how the game works, unless it starts to seriously detract from revenue and retention. Caught my first Snorlax and picked up my second 10k egg. Good day. A YouTube personality I watch sometimes says Niantic said that was an accident. So after evolving 4 eevees, I'm pretty sure it's not the full name, but just the first letter, that determines its evolution. I have come to this conclusion because both BWEEEEEE and Beautee evolved into Flareons, and both Sparky and Shark Attack evolved into Jolteon. Hatched my second 10k egg. Also a hitmonlee. Boo. ^ my gf hatched 3 10km electabuzzes in a row. i felt really bad for her. 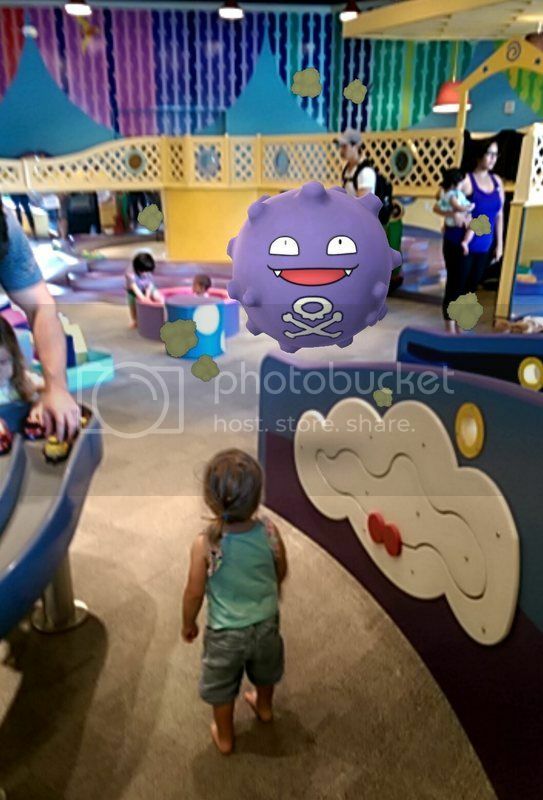 It was Pokémon day at the Children's Museum. Chloe is ready to hold the ball closed on this Koffing catch. A Pentagon source tells Inside the Ring that the Defense Department has banned the playing of the mobile video game Pokemon Go within Defense Department facilities, over concerns the popular application could facilitate foreign spying. How many Niantic employees does it take to change a lightbulb? None - as soon as the lightbulb burns out, they just break it.